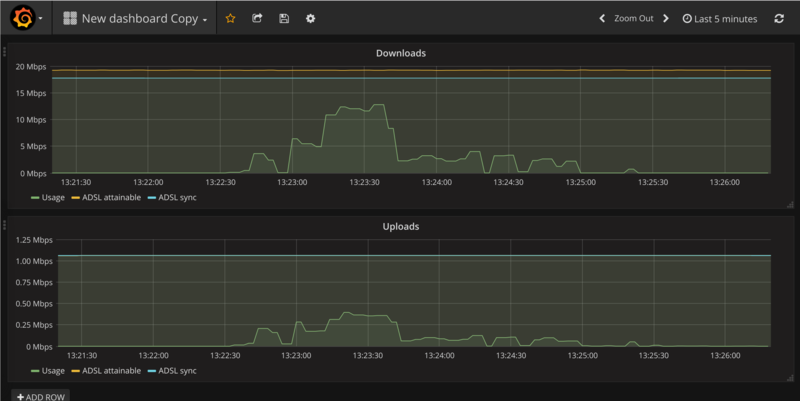 Today I’m writing a bit about a Prometheus deployment that I made last year on a Raspberry Pi, to get better data about congestion on my uplink to the Internet. A speed test will tell you how slow your computer’s connection is, but it can’t narrow down whether it’s because of other LAN users, the line quality, or congestion at the provider. This table is from a Sagemcom F@ST 3864, which is a consumer-grade router. 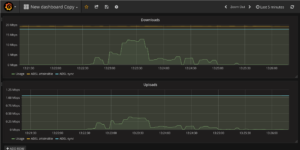 It has no SNMP interface, so the only way to get these metrics is to query /statsifc.html and /info.html from the LAN. 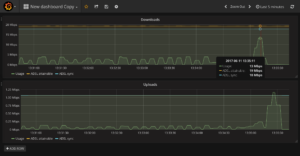 We can derive throughput metrics for the uplink if we scrape these metrics every few second and load them into a time-series database. To do this, I wrote a small adapter (called an “exporter” in Prometheus lingo), which exposed the metrics in a more structured way. # HELP process_virtual_memory_bytes Virtual memory size in bytes. # HELP process_resident_memory_bytes Resident memory size in bytes. 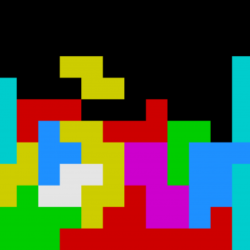 # HELP process_start_time_seconds Start time of the process since unix epoch in seconds. # HELP process_cpu_seconds_total Total user and system CPU time spent in seconds. # HELP process_open_fds Number of open file descriptors. # HELP process_max_fds Maximum number of open file descriptors. Prometheus has a query language, which I find similar to spreadsheet formulas. You can enter a query directly into the web interface to get a graph or data table. I settled on these queries to get the data I needed. They show me the maximum attainable line rate, actual sync rate, and current throughput over the WAN interface. 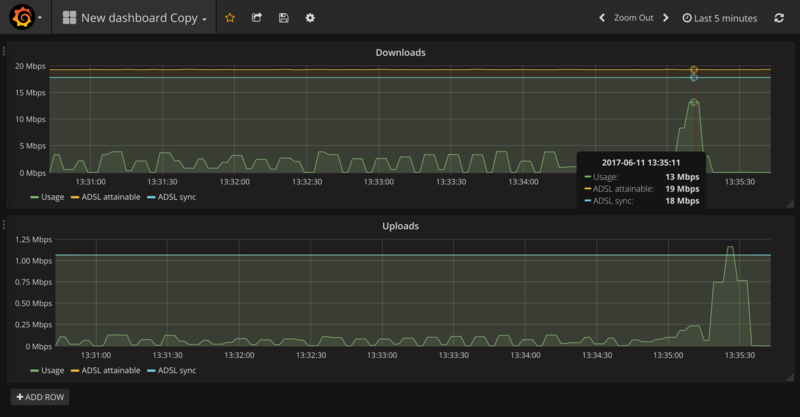 I then deployed the last component in this setup, Grafana, to the Raspberry Pi. This tool lets you save your queries on a dashboard. By saturating the link with traffic (such as when running a speed test), it was now possible to compare the actual network speed with the ADSL sync speed. In my case, the best attainable network speed changed depending on the time of day, while the ADSL sync speed was constant. That’s a simple case of congestion. I’ve deployed a few tiny Prometheus setups like this, because of how simple it is to work with new sources of metrics. It’s designed for much larger setups than an individual router, so it’s a worthwhile tool to be familiar with. Data is always a good reality-check for your assumptions, of course. This setup had the level of security that you would expect of a Raspberry Pi project (none), and crashed after 4 days because I did not configure it for a RAM-limited environment, but it was a useful learning exercise, so I uploaded it to GitHub anyway. The python and Ansible code can be found here.